South Carolina is a beautiful state. Use to live in the Charleston area. This is a nice photo....the best I have seen here for a little while. What a cutie. They are fun at that age too...very smart dogs. It finely came...spring is here. 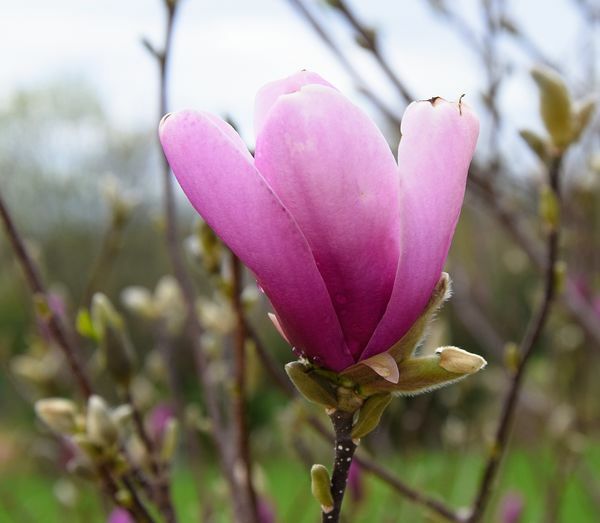 Just a magnolia bush starting to flower. I use it and it is easy to use...very friendly. Takes a little bit to get use to it though. 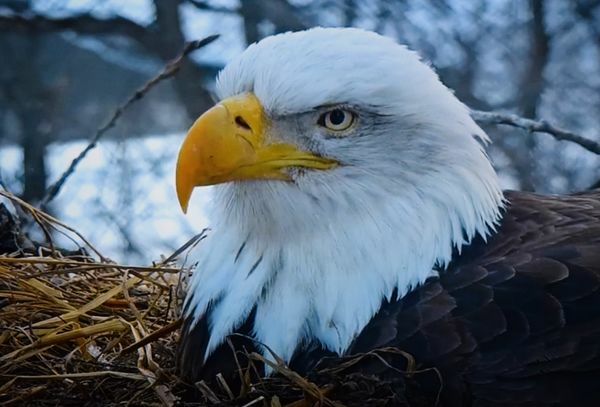 Very nice shot, but the important thing is not your photo but the welfare of the eagles (including stress you may impose), the eggs and later the chicks. With your 300mm lens and accounting for camera crop and your cropping, the photo is approximately equal to 600mm (35mm format equivalent). Therefore, I suspect your within 50 feet of the nest. I don't know the regulations in Iowa, but that seems awfully close to a wild eagle's nest. Certainly, don't remove the mesh! Please correct anything I've said if I'm in error. It's done in a observation deck that professionals watch over all the Decorah eagles. OK! Thanks you all for your nice advice! I'll put that to use and work with that....again....thank you. Is there anything between the lens and the bird? Are you shooting through something … like a mesh of some sort? Very nice; you are obviously in a unique position. You might want to get rid of the blue color cast; the photo will certainly improve. Is this a little better? I changed the white balance a bit. Shot it threw a greyish screen on a cloudy day. Thanks kpmac! Got it threw a screened in blind. Nesting eagle sitting on eggs (3) of them. Used a Nikon D3300 with a 55-300 vr lens. My son is the computer guru (Software engineer and now going for his cyber securities degree), what he suggested to me was look for a high grade gaming computer. That way you'll have the speed, graphics and memory more than capable to handle just about anything. 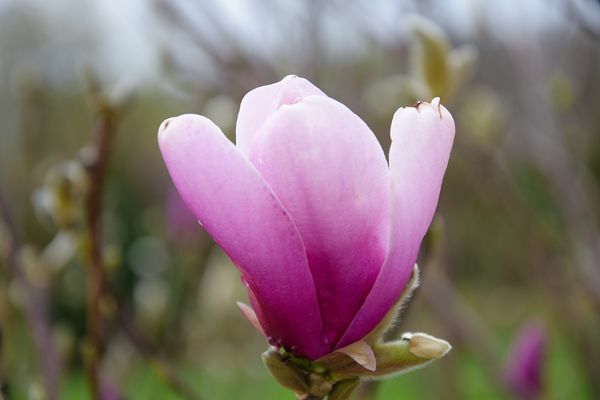 Is Spring Around the Corner? Depends where you live. 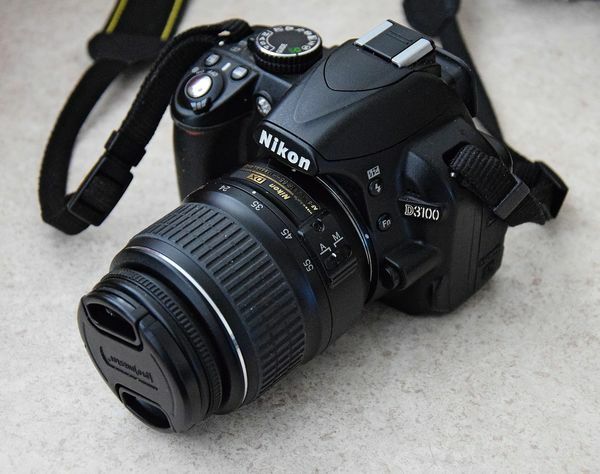 Includes: 18-55mm lens, hook-up wire adapters, strap, manual, SD card. In mint shape. Shutter count, 2500. Asking $250.00 Message me for a phone number. Nice car and photos to! Two years and he will be hundred. Nice touch to a nice car. Good shots too!